Interview with Scott Aaronson — covering whether quantum computers could have subjective experience, whether information is physical and what might be important for consciousness — he touches on classic philosophical conundrums and the observation that while people want to be thorough-going materialists, unlike traditional computers brain-states are not obviously copyable. Aaronson wrote about this his paper ‘The Ghost in the Quantum Turing Machine’ (found here https://arxiv.org/abs/1306.0159). Scott also critiques Tononi’s integrated information theory (IIT). Scott discusses whether quantum computers could have subjective experience, whether information is physical and what might be important for consciousness — he touches on classic philosophical conundrums and the observation that while people want to be thorough-going materialists, unlike traditional computers brain-states are not obviously copyable. 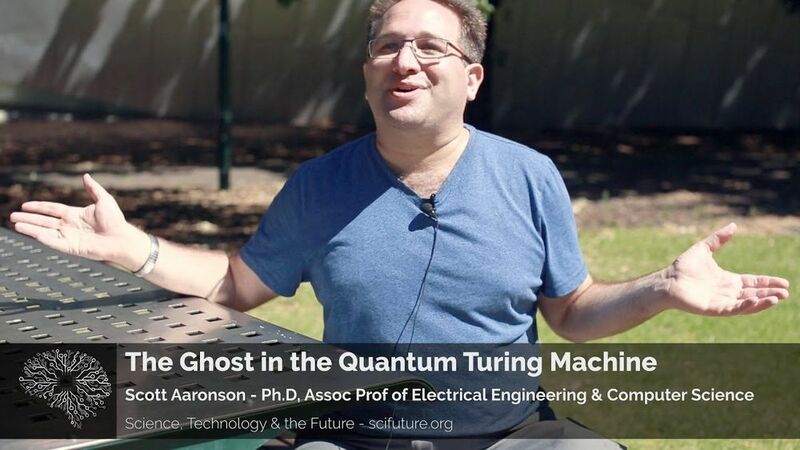 Aaronson wrote about this his paper ‘The Ghost in the Quantum Turing Machine’ (found here https://arxiv.org/abs/1306.0159). Scott also critiques Tononi’s integrated information theory (IIT). - In “Could a Quantum Computer Have Subjective Experience?” you speculate that a process has to ‘fully participate in the arrow of time’ to be conscious, and this points to decoherence. If pressed, how might you try to formalize this? - In “Is ‘information is physical’ contentful?” you note that if a system crosses the Schwarzschild bound it collapses into a black hole. Do you think this could be used to put an upper bound on the ‘amount’ of consciousness in any given physical system? Many thanks to Mike Johnson for providing these questions! Bio : Scott Aaronson is a theoretical computer scientist and David J. Bruton Jr. Centennial Professor of Computer Science at the University of Texas at Austin. His primary areas of research are quantum computing and computational complexity theory.